Rolland and Irene Vis started the plumbing and heating business in the basement of their house in 1965 in Lanesboro, Minn. In 1968 they purchased the building at 108 Parkway Avenue North in the downtown area. 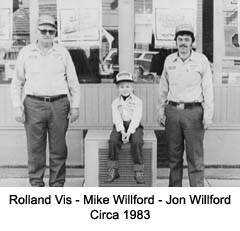 Rolland in the early years employed one full time employee. In 1979 his son in law Jon Willford started in the business as an apprentice. In 1988 Jon and Barb Willford purchased the business from Irene Vis. In March of 1991 Jon received his Master Plumbers license from the State of Minnesota. In 2002 the fire in the downtown caused damage to our building so we decided at that point to move to our new location on the south end of town at 105 Sheridan street. 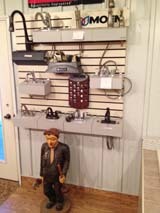 Our new 4900 sq.ft heated building is packed with a complete inventory of plumbing and heating products. 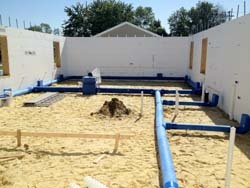 We also have a new 2000 sq.ft. cold storage warehouse that was built in 2008. Our son Michael has worked in the business during the summers while going to school. In 2000 he joined the company full time. Over the past years our company has grown to employ 5 employees. Barb takes care of all the bookwork for all of our businesses. We own and operate a gift store in the downtown location where we used to be located called Emil Farqart’s. We take pride in our family owned and operated business running 45 years strong. 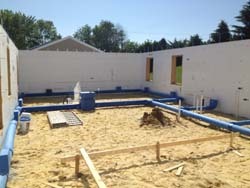 Habitat House in Harmony, Minn.